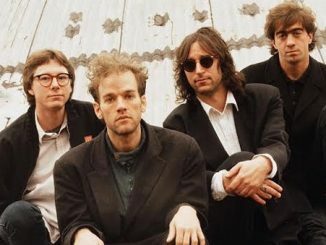 By 1987 REM had come a long way from their humble begins as four guys messing around playing parties in Athens, GA. Since their founding in 1980, the band had grown in popularity, first as an underground phenomenon that held sway on College Radio. Then they continued to gain fans with their breakout albums Life’s Rich Pageant and Document. The band after completing their successful tour for Document would make a momentous decision. They would decide to walk away from their small indie label IRS and sign with Warner Brothers. Many fans were gobsmacked, how could the unofficial leaders of the burgeoning Indie movement sign with Big Bad Corporate Warner Brothers? Inevitably concerns would emerge over whether REM would succumb and morph into record label banality or continue to forge a singular musical path. The foreboding of longtime fans was palpable and even before Green was released; it would be burdened with expectations that would be hard to satisfy. All fears would be allayed as the resulting album would continue to be uniquely REM. Green would be the best of both worlds as it would not shy away from the unsettling while presenting their music in an alluring and approachable style to a wider audience. As the album reaches its 30th anniversary it is a great time to review this landmark album. REM had a long-term relationship with IRS records and was for all intensive matters the tent poll keeping the label afloat. The members of REM enjoyed the small family feeling of the label but were unsatisfied with the label’s poor overseas distribution abilities. IRS’s overseas distributor MCA had not made REM a priority and there was little hope that the situation would improve. This realization forced REM’s management to start shopping for a new label and a bidding war commenced. There was significant hand-wringing about the decision but the band eventually chose Warners due to the label’s contractual assurances of total creative freedom. But no matter the assurances the band acquired, sure as tail follows head the band was immediately accused by fans and a number of critics of selling out. One thing the naysayers forgot was that REM was not only savvy in their business moves but gifted musicians who danced to their own piper. Their past successes displayed that they held all the tools they needed to prove the naysayers wrong. That is exactly what they did with Green. The band started demoing the album at Robbie Collins Underground recording studio in Athens, GA. The first official recording sessions for Green would take place at Ardent Studios, Memphis, TN with later sessions occurring at Bearsville Studios, Woodstock, NY. 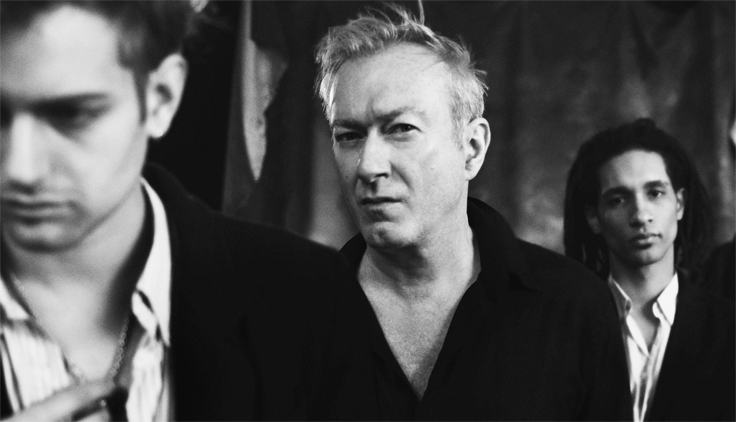 REM would continue with Scott Litt co-producing with the band. The guiding principle for the sessions was to mix things up and tossing away musical crutches in order to avoid clichéd ruts. Band members switched up instruments and added new instruments to their arsenal such as the mandolin, accordion, cello and laptop steel guitar. Another guiding principle was to turn away from the trademark “REM” type songs. 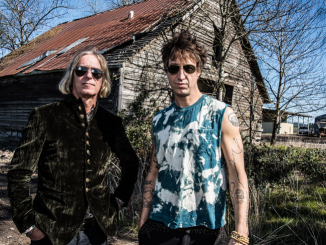 This style was defined by guitarist Peter Buck as songs that were “minor key, mid-tempo, enigmatic, semi-folk rock ballad-ish things.” The band was also enamoured with the idea of placing the forthcoming rock songs on one side and acoustic songs on the other. Eventually, this premise would not prove feasible due to the fact they had created more rock tracks than acoustic selections. The resulting release was not your average REM album but an alluringly eclectic release that moved the band down the road on their musical journey and chased off all the harpies that had predicted failure. Green would arrive on November 11, 1988. What would quickly become evident was that under the extreme pressure of inane expectations REM had delivered a gem. Green was quintessential REM without sounding like REM out of the past. The band had traded in their asymmetrical trademark structures for a more standard structure without losing faith in what made them unique. Topically the band pulled no punches as they espoused growing political and environmental concerns. The label move allowed them to get their message of hope in the face of adversity to larger audiences. Additionally captured on the release buried underneath the outstanding layer of REM musicianship were acknowledgements to Led Zeppelin, The Doors, Sly Stone and many others. 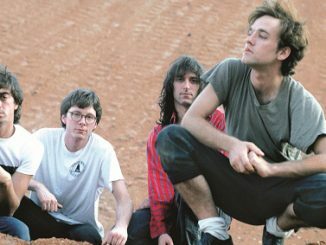 Diversity in the playlist was a key element but what made it most appealing was the clarifying of Michael Stipe’s vocalization and Peter Buck’s signature rock guitar style coming into manhood. Green would go double platinum, reached #12 on the US charts and 27 in the UK; becoming the band’s first gold record in the US and supported with a mammoth international 11-month tour. Green was the point where REM had to figure out if they were going to thumb their nose at the fame they had attained or ignore all the swirling cacophony and continue as they intended to go. The band under an extraordinary microscope opted not to play it safe but to instead acknowledge how absurdly they had travelled to success and emphasize their intent to continue being themselves. Throughout the recording, the listener could hear flashes of the band’s ever-present self-deprecating humour, their self-awareness of how far they had come and the importance of keeping their feet on the ground. That humour and pragmatism shines through on the first cut, Pop Song 89, the track is a song about pop songs. It is punchy and clever as it addressed the madness that swirled. It was probably not at all what anyone expected on the first track but confronted the dilemma the band was faced with as they now had to be all things to all people. Buck’s signature guitar lick centres the song as it perfectly set the stage for the rest of the album to transpire. This track is the beginning of the highwire act the band would complete balancing between their existing discography and their metamorphosis into one of the most influential bands in the ’90s. Pop Song 89 was REM’s way of restating the Sunset Blvd Norma Desmond quote “ Mr DeMille, I am ready for my close up”. Get Up is a blazing track offer a kick in the pants to defeatism. The theme is that you can waste your time with your head buried in the sand or do something to bring about a better world. The message was positive and sonically the track is a pop wonder with heavy gritty underpinnings. Stipe is crystal clear in his delivery with not a garble to be found. Listen for Stipe’s emphasis on saying life clearly as an “up yours” to every critic who jibed at his prior vocal deliveries. From those first rollicking tracks follows the exquisite ballad You are the Everything with its aching beauty piano and mandolin accompaniment. Here things go from macro to micro with a glimpse into Stipe’s fears, desires and the stresses of touring, “Sometimes I feel like I can’t even sing, I’m very scared for this world, I’m very scared for me.” As the song moves on Stipe reminds himself that along with the fear and ugliness of this world there is beauty found in stolen moments and unexpected pleasures, “everything is beautiful…I see the beauty of the light of music.” The track is Southern Gothic perfection reminding me of Carson McCullers put to music, it is a stunning selection. If you thought Pop Song 89 was pop perfection Stand puts it in shadow. It is simply REM does pop, as all the stops are pulled out for a song that displays the band in all their humorous self-deprecating glory. Old fans might have stood aghast, but they needed to get a grip. The carnival organ is the first hint we were in for REM’s alternative “Macarena” moment, with that wah wah pedal making the song forever instantly recognizable. The song can’t help but induce a smile, even if you are a po-faced hipster. Stand is infectious fun and that was the intent. This song ends the pop segment of the album and things turn more serious and heavy thereafter. Following this, utterly endearing Stand is one of my all-time favourite REM tracks and worth the price of the album World Leader Pretend. This song is so full of earnest drama and passion it is breathtaking. The song examines all our rationalizations for bad behaviour and cruelty along with each person’s self-entitlement and self-absorption. Characterized are our defence mechanisms that we use to protect our wrong-headed ideas. The lyrics identify how these mechanisms cut us off from our loved ones and other people. The head fake in the song is that from the title the topic matter should be about politics but ends up a deep dive into our inner selves. Proffered is the idea we have to work on ourselves just as much as the world. Musically the song is stellar with a beautiful arrangement of organ, trademark jangle guitar and apt percussion. The song would prove to be even more exceptional live as there is a special kind of alchemy going on with this track that makes it utterly addicting. To this day I am very moved by The Wrong Child, the narrator of the song is a disabled child whose desire is to be accepted and fit in, “I’m not supposed to be like this but its okay”. This child watches other children lead the life he or she was supposed to lead and the yearning for the effortlessness of the every day is heartbreaking. The bravery and sadness of the narrator are palpable as the mandolin conveys the melancholy forlorn of the situation. Your heart goes out to anyone who had the misfortune to struggle with being challenged in our unforgiving world. Orange Crush is as powerful as it is caustic with its anti-war/post-Vietnam messaging. Bill Berry’s percussive assault punctuates the track providing the anger and pugnaciousness that make the selection unforgettable. There is the play on words with Orange Crush and Agent Orange serving as an apt condemnation of American interventionism. Revealed is that the veterans of wars truly understand the horror of war and its cost and they pay a high price. Anyone engaged in war should consider that cost before jumping into armed conflict. Bring on the “Zep”, I Remember California is REM does Led Zeppelin with Bill Berry channelling his inner Bonham. The song is a heady free verse description of the golden state seen through a sunstroke haze. The narrator is posed on the edge of the continent relaying a sense of unreality drenched in hypnotic brooding. This is all conveyed sonically with a sharp-edged, heavy guitar and throbbing bass along with the surreal vocal delivery. The song is simply brilliant. The trance of I Remember California is broken by Untitled which shakes the listener back to awareness. This upbeat song encourages the listener to hold close those we love and enjoy the ride life delivers because it is all we really have in the end. This charmer of a track is a delightful farewell to all that has transpired before as the band pivoted to whatever would come next. 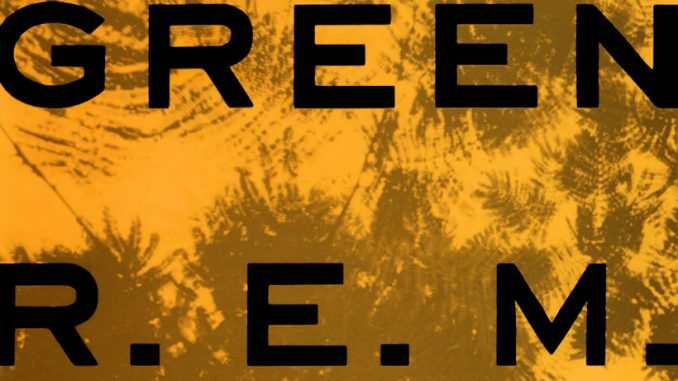 In 41 minutes REM on Green would deliver moments of break-taking beauty and heartbreak along with almost unconstrained outrage at mess humans make of life. The results of the recording for REM were a significant mainstream success which launched them past their “College Darlings” manifestation and into eventual Rock and Roll Hall of Fame status. They would continue their musical juggernaut for another amazing 22 years until again being the classiest band ever, they decided amicably that it was time to hang up the instruments and dissolve. Along the way, in their 30 years of existence, they would inspire future bands of note like Nirvana, Radiohead, Pavement and untold others. REM with Green would also prove that the reputation of the label backing the band didn’t matter as much as the true quality of the recording. REM deserves credit for facing ridiculous amounts of pressure and seeming to effortlessly shake off that dudgeon and produce an impressive work. The band could have imploded from the pressures internally and externally applied upon them. Instead, they remained focused on the task seeming to feed off the situation. They refined and perfected their output translating the zeitgeist of the time perfectly squashing calls of “Sell Out” forever more. Maybe Green should have been titled “Giant” because it certainly took on all comers. Green, in the end, was as charming, quirky and clever as all four of its creators.